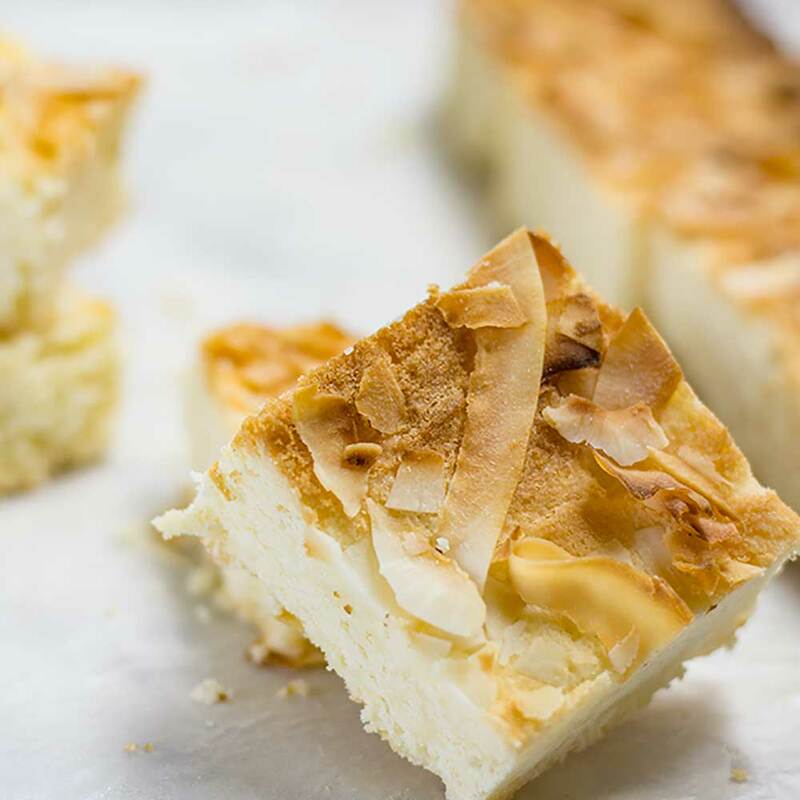 When you are in the mood for a soft, fluffy cake our Low Carb Keto Coconut Blondies are just perfect. These Keto Blondies are not only low-carb but Dairy Free, Gluten Free & Nut-free and ideal for those with dietary restrictions. These Blondies are best made on a warm day to keep the coconut oil and butter soft enough to mix well. Be sure to use room temperature eggs, or the mixture will firm up as soon as they are added. This recipe makes 16 serves. Cut your blondies into four along each side of the tin. Our keto blondies are also paleo and best stored in the fridge, however, they are best freshly baked as the coconut oil will cause them to harden somewhat. 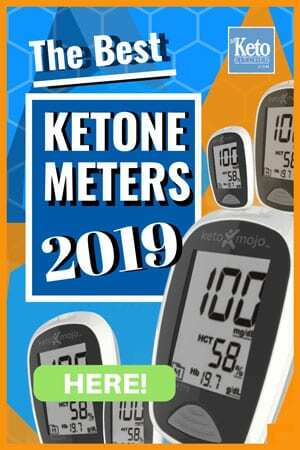 You can microwave the keto coconut blondies for 10-20 seconds to help them soften up. Line a 9x9in baking pan with parchment paper. In a large mixing bowl, add the coconut oil and butter and mix well using your hand mixer on medium speed. Add the natvia, coconut flour, baking powder, and vanilla essence and mix well with your hand mixer until all ingredients are combined. Add the eggs and mix again until the batter is smooth. Place the mixture into the prepared pan, smooth out and top with the shaved coconut. Bake for 15-20 minutes. Your Blondies are baked when an inserted skewer comes out clean. The Blondie will be very fluffy and will drop slightly when cooled. Allow to cool for 10 minutes before cutting into 16 pieces and enjoying. Keto Coconut Blondies - Low-Carb "Moist & Sweet" - Sugar & Dairy FREE! 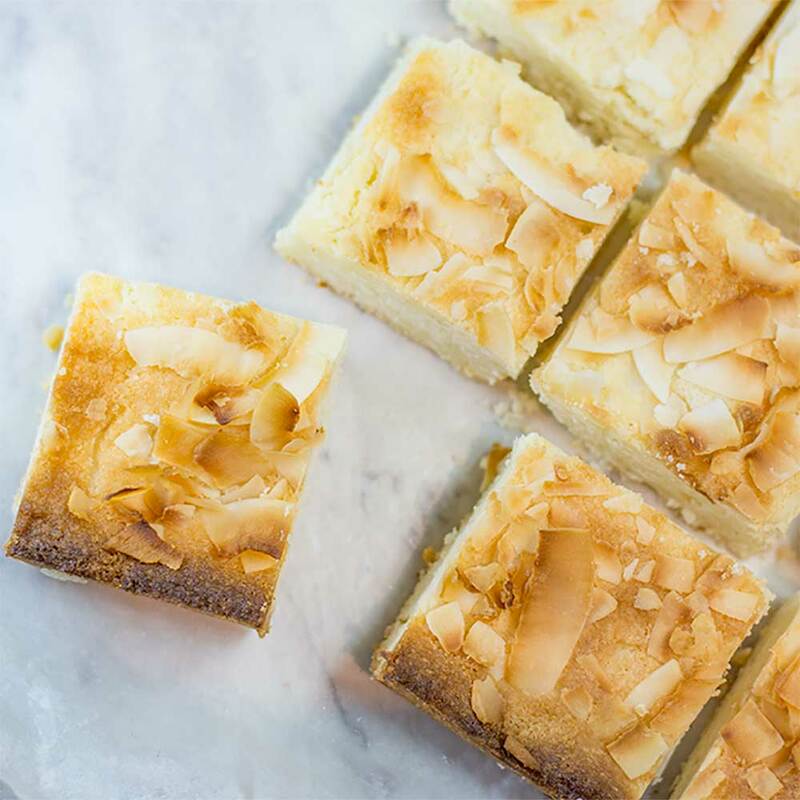 When you are in the mood for a soft, fluffy cake our Dairy Free Low Carb Coconut Blondies are just perfect. They are also nut-free and ideal for those with dietary restrictions. Add the natvia, coconut flour, baking powder and vanilla essence and mix well with your hand mixer until all ingredients are combined. 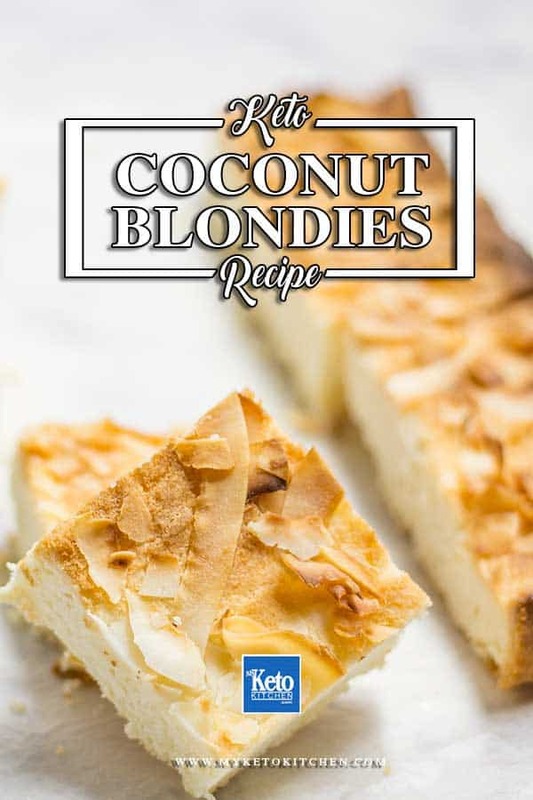 To make a larger batch of Keto Coconut Blondies, simply adjust the serving amounts in our easy to use recipe card above.